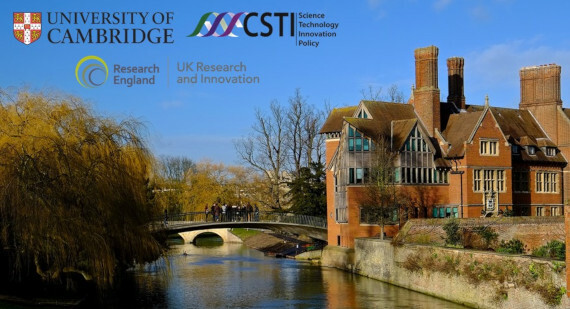 The Centre for Science, Technology and Innovation Policy (CSTI) at the University of Cambridge hosted a roundtable on 9th July 2018 bringing together academic experts with senior policy officials to explore academic evidence and translate it into practical implications for ‘place-based’ funding programmes. Place-based approaches to policy are based on the argument that, to be effective, public interventions need to be place-specific and address the particular needs, opportunities and challenges of the local area, whether they be towns, cities, or regions. In the context of research and innovation funding programmes delivered by UK Research and Innovation, such an approach would mark a significant deviation from a traditional focus on funding excellence wherever it is located nationally. The Cambridge roundtable discussion provided an opportunity for leaders from UKRI and the Department of Business, Energy and Industry Strategy to explore together the rationale for investing in local research and innovation systems to deliver local economic benefits. The aim was to inform UKRI’s long-term thinking around how it can play an active role in delivering the UK government’s industrial strategy and, in particular, the place-based agenda to reduce regional disparities in productivity. In addition, CSTI with its Policy Links Unit contributed examples and insights from a review of international regional research and innovation funding programmes. Reflecting on the event, CSTI Director, Dr Eoin O’Sullivan, said “in organising this roundtable we built on our approach of convening academic experts to address research questions directly related to real policy evidence needs. In particular, we wanted to provide a forum for policymakers to engage with academic insights and research evidence at a level of detail that is relevant and useful for policy development and programme design. The experts’ papers will be finalised over the summer and will be published in Autumn 2018.